No this isn't my Top favorite games. And why I previously I only did 50. Why 48? Well because it was the logical cut off. And just for fun, it's a quiz too. No fair looking at my profile either. I'm going to include a question with each one on what you think I have it rated. And remember to look it up. To make it easier though, I'm going to break the ratings into groupings. I'll also add my comment about the game. Again no fair reading it before you answer the quiz question. And while we are at it, no spoilers in the comments section. BTW, I've been logging plays about 8 years I think and I only log Face to Face games. Ok, the first question isn't a quiz. It's a before you start poll. So, don't look ahead. If you were to guess how many of my 'Top Played' games are on my 'Top Rated' List, how many would you guess? I like the 'speed' aspect of selecting the machines. But, they should have put some sort of time aspect to placing it too. Maybe like the new robo rally where the next to last player done starts a one minute sand timer. Well I was suppose to write a review for this one, but it was denied for being to short. I personally think there are way too many 'long reviews' around here and not enough short concise reviews. (most rules do not need to be rehashed). I'm becoming a big fan of independently produced games. This is no disappointment. The cards, box, etc. are of good quality. The rules are well written (although they may be on to small side print wise). The box is a perfect size for the components. Is this really all that? It's a really interesting auction game. I very much enjoy the two very distinct phases to this game. The first phase, is really a 'drafting' of the hands (pot). In this phase you get an interesting choice of what you want versus what you are willing to give your opponents, versus what you think you might want to bid for in the second phase of the game. What's even more interesting is that it adds that bit of press your luck, where you have to make these choices one card at a time not knowing if a better card is going to come along. 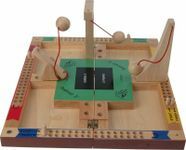 The second phase is building your scoring hand for the end. The cards in your hand can be used to 'bid' on cards or just saved for end game scoring. Gold cards are used to buy paintings and Bishops. And any combination of cards can be used to 'buy' gold cards. Gold cards are only used in tie breakers at the end, so they are often better to use then save. But, again, you don't know if something better is going to com up later. End scoring is simple. Who ever has built the best collection in each of the 5 categories scores the value of that 'collection'. The only problem is those values will change based on the selection of the bishops. All collections start at a value of 3. When Bishops come into play either in the 1st or 2nd phase. The bump up or down the value of 1 or 2 collections. That's the game. Fun, quick game. What do I rate Destruct 3? There are two sizes. Both are fun, but the larger one plays a lot easier and better. What do I rate Family Fluxx? Somehow I like this better then normal Fluxx. Yet, it's not any different. I guess it's that it's focus is family gaming. This is a game that I can play with my family (6, 10, and 13). Although, It's hard for the 6 year old. She can handle the pictures, but the action cards don't have pics just a lot of words. It really shouldn't be rated for 6 year olds. My son doesn't like the 'child bouns' card. He's 13 so he's left out of all the bonus play cards. 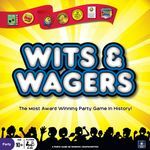 What do I rate Wits & Wagers? I guess a 6 sounds a little low. It is a fun game and I like that it has the betting on the answers so that you can win without really knowing anything. It may have been rated a bit higher, but it's just not my favorite genre of game. So, I'm sure it will get pulled out from time to time, but only when I'm in the right mood. Simple rules, good game, fun. What do I think of Fearsome floors? fun simple game. Can be annoying when you are playing with someone that takes it seriously, yet can't see the way the monster moves. It should be played with people that can look at the board and follow where the monster 'should' go. Of course that's before you start screwing each other with placement of your pieces. Quick filler that does take some decisions. I rate Piece o' Cake? Interesting game. But, it can be frustrating when you build a split that will give a LOT of points to one person that that you have a better chance of getting what you want, but then they go for the much lower scoring set for them just to screw with you. I game that should be based on logic, yet still has so many illogical moves. What do I rate Braggart? Own a playtest copy. Play tested with with several different groups and a vast majority of the people had a lot of fun with this title. Mass chaos, but in a fun way. Light filler. While it's listed as a 30 minute game, I did have it last a bit longer once or twice. Normally though that was when too many people were have too much fun messing with each other. So, it was still fun at that length. Now that it's in print, still enjoying and decent art work. What do I rate Wits and Wagers, Family? While I much prefer the original bidding system, I have to admit the changes made later and included in this game do make things much easier to manage. What do I rate Rattlesnake? Much shorter then I expected. The game really seems to not much be about placing as it is just about being lucky to be the person after a person messes up. The kids like it and the laugh (for now). What do I rate Ace of Aces? much tighter turns then powerhouse edition. Does not include Yucata plays. What do I rate Masons? Very fun quick game. With still some tense choices from time to time. 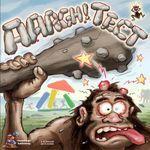 What do I rate argh-tect? Not really typically my type of game, but it's been a load of laughs. It also helps that my 13 year old really likes it. When asked what I should say about the game, she wanted me to include this phrase "you learn fast" (when you head is repeatedly hit). 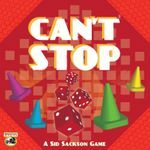 What do I rate Can't Stop? Typical press your luck dice rolling game. I don't see anything unique in it. Playing with kids seems to draw the time out making it longer then it should be. 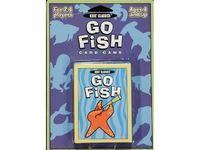 What do I rate Go Fish? Well, my daughter loves it. Not sure why she does, she seems to get bored in the game. Maybe it's playing with dad. 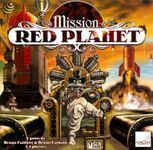 What do I rate Mission Red Planet? The role selection adds a lot to a area control game. Two of my favorite types of games mixed well together. 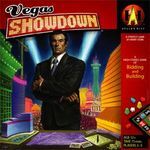 What do I rate Vegas Showdown? I like these tile laying games. The bidding is a fun. The events shake it up just enough to make it interesting, but not enough to completely make or break one person. What do I rate Battlecry? What can I say. I love this game and it's got me into a lot of other very fun games. The card driven mechanism is a lot of fun. What do I rate Kragmortha? Man this got old quick. Unfortunately, it's silly and my middle daughter really likes that. She even talked her grandma into playing it once (once). What do I rate Witch's Brew? I little bit of group think v. anti-group think and trying to balance the two to get the best plays each turn. What do I rate Roll? A bit worried that repeated play will find me and others finding what works for them and just sticking to it. 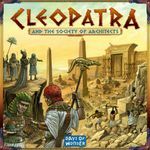 What do I rate Cleopatra? I really like the building aspects of this with the corruption. Limited actions, but seems like a lot of choice. 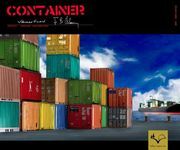 What do I rate Container? Wow. Much better then I had thought it would be. So many intertwined market forces. Multiples ways to manipulate your opponents into improving your position and a little bit of bluffing worked in too. Don't play with a kid! 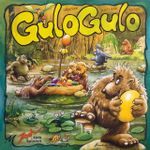 What do I rate Gulo Gulo? I picked this up because someone said that my youngest (6 at the time) would be able to compete on even ground with everyone else. Now, she insists on playing it whenever the gamers are around and now I get to say to the gamers. Just remember you've been beaten by a 6 year old.